Lake Waikaremoana or ”sea of rippling water” in Maori is off the beaten track for most travelers to New Zealand. 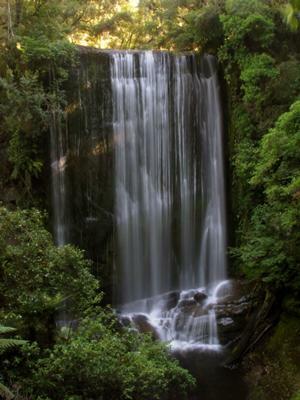 This waterfall is only accessible via boat or during a 53km hike round the lake. On the weekend I made the hike the lake was completely shrouded in mist, I think it was a worthwhile trip though as I like this photo of the waterfall taken on a tripod at about a one second exposure with a cheap point and shoot digital camera.